How would you like to take Selfies that do not look like Selfies? Going on vacation? The PerfectDay Selfie Stick should go with you! Capture every great moment to share online or with your family and friends. Welcome to the day of the Selfie Stick 2016! You can create your own self-shot videos and create excellent videos for YouTube…all with the PerfectDay Selfie Stick that fits nicely in your pocket or your purse. For today’s world traveler, you couldn’t ask for a better companion to capture all your greatest adventures and the people you meet along the way. You will be amazed how easy it truly is to take great photos or amazing videos. 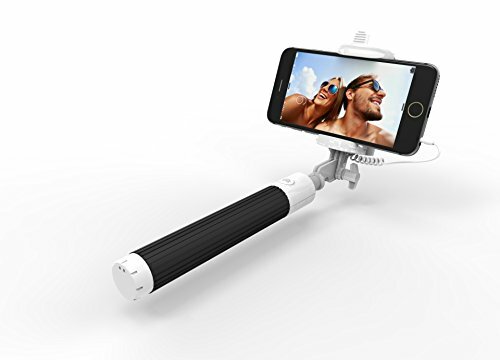 There are many other Selfie Sticks on the market but they are not particularly easy to use and certainly not the quality of PerfectDay’s model . Other models are big and cumbersome and will not fit in your pocket and unless you have a massive purse – won’t fit there either. Many of these other Selfie Sticks have numerous pieces that you must install and could easily get misplaced or lost. We know you want something that is at your fingertips, easy to use, and gives you a great finished product. In that case, look no further than this PerfectDay Selfie Stick. You will not be disappointed, will not have any difficulties in using it, and will give you great finished photos and videos. The PerfectDay® Pocket Selfie Stick is the perfect solution to your “at-a-moment’s notice” for that special shot or video. PerfectDay’s folding phone adapter is the first and the leader in the industry. It’s usability consists of taking it out of your pocket, placing your phone into it and snapping your photo…all in a matter of seconds. It’s lightweight and compact design is so perfect! Order it today and get a FREE 2-Day Shipping through Amazon Prime! The Monopod can extend as long as 3.5 feet and has a phone holder compatible with all phones. Simply plug the Monopod with your phone, turn photo-mode on, and you’re ready to take photos with the accessible handle button. The adjustable holder allows a variety of shooting angles from traditional Selfies to above-crowd shots. Compatible with most smartphones, including Android and Apple. 5 ★ STAR GUARANTEE: If for any reason you are not madly in love with this Selfie Stick, you do not pay one thin dime! No Questions Asked! This entry was posted in Recent Posts and tagged amazon, android, iphone, iphone 6, iphone 6 plus, monopods, picstick, pinpo, reviews, selfie sticks, selfies, smartphone, underwater selfie stick, waterproof iphone 6 case, waterproof selfie stick, waterproof selfie stick for iphone, waterproof selfie stick for iphone 6. Bookmark the permalink. ← Selfie Sticks Available NOW!